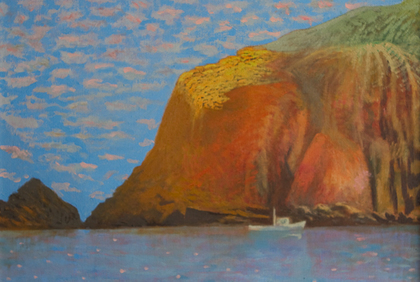 Bocci’s call to the ocean and fishing began as a child, fishing with his father on the family’s little skiff out on San Francisco Bay. 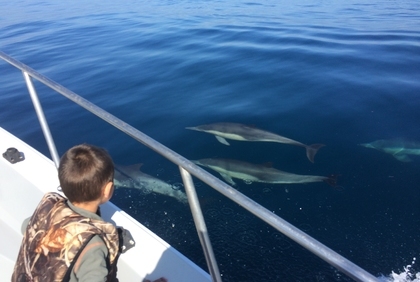 On weekends, his family would escape the city and stay in their cabin in Capitola. When he got older he had the opportunity to move to Santa Cruz, working as a garbage truck driver. He worked the early mornings for many years, and began fishing evenings and weekends. 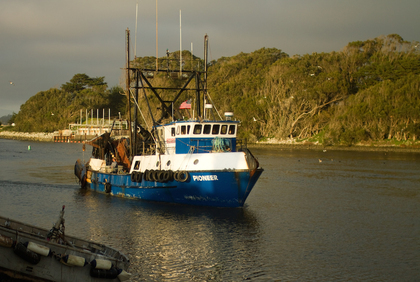 Eventually he bought his first boat, an old Monterey named “Sam Crab West,” and kept it in Moss Landing harbor. His career as a garbage truck driver progressed until he was managing the department. Nevertheless, with only 5 years left until retirement, he decided to quit and pursue fishing full time. “It was an easy decision,” he recalls. He took out his retirement and bought his boat, the FV Bocci Boy, the name he was given as a child playing at the bocce courts. Santa Cruz harbor was newly built, and he was invited to be one of the first commercial fishermen to hail it as his home port. 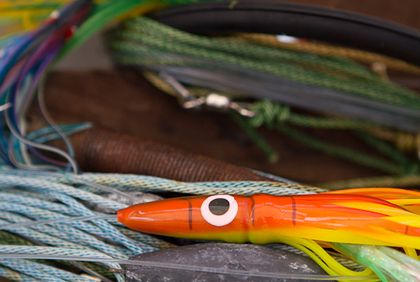 Since then, Bocci has seen many fishermen come and go through the years. 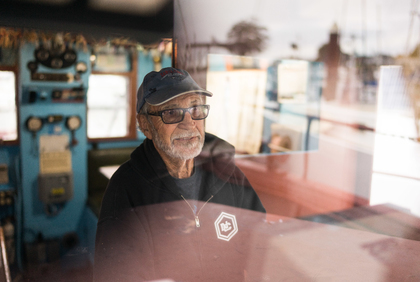 He’s seen the harbor change dramatically from two docks and no upper harbor to what we see today: a bustling harbor full of yachts and recreational boats, and a shrinking commercial fleet. Bocci Boy is still making a go of it and knows these waters probably better than most. 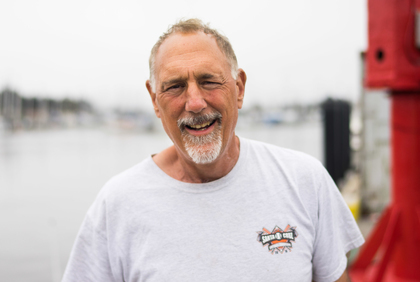 He mostly fishes for salmon and rockfish, and is well known in the harbor for catching and selling live bait for recreational and commercial fishermen. When he’s not fishing, you can find him most days at the end of “S” Dock. Dave loves the ocean and saltwater. He started fishing at Coyote Point in San Mateo years ago and hasn't quit. 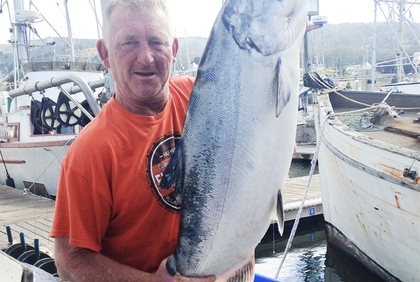 Today, he lives in Aromas and makes a living as a real estate broker as well as a commercial fisherman. 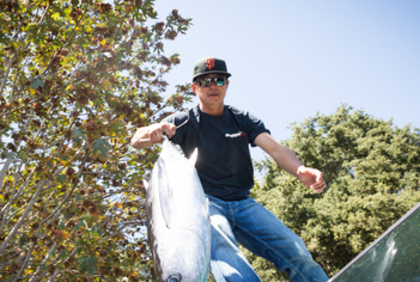 He believes that living in north Monterey County allows him to enjoy some of the best saltwater fishing anywhere! 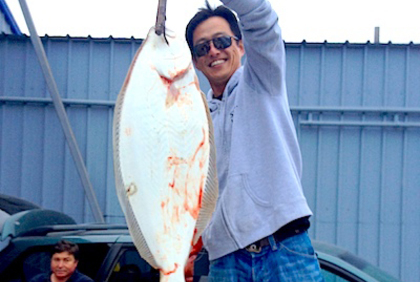 His favorite fish to catch AND eat is California halibut, because they're tasty and close to shore. His favorite preparation is beer battered and deep fried. Dave says that there’s a lot of skill and attention to detail that goes into commerical fishing, and it takes years to perfect techniques. 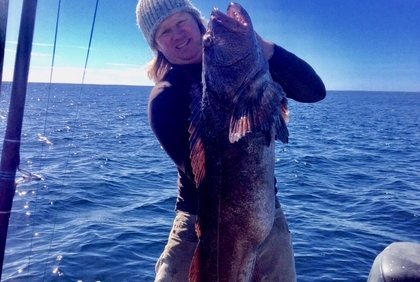 The best part of fishing in Monterey Bay: it’s one hobby that (sometimes) pays for itself! 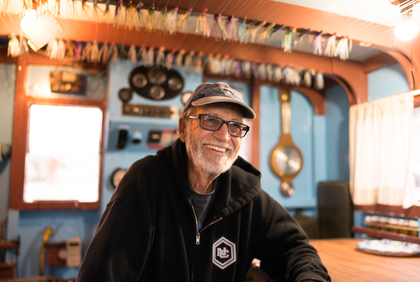 Kevin Butler grew up fishing and foraging up and down the California coast and ended up in Santa Cruz for the last 4 decades. He brought his fresh catches home and learned to prepare them. As a child, he preferred salmon roe and sea urchin to soda and candy, outdoors to the inside. His childhood passions have developed into his current careers: a fisherman and chef. He not only sells seafood to Real Good Fish, but also works with Real Good Fish as our chef, preparing seafood for our events and doing our cooking demonstrations. 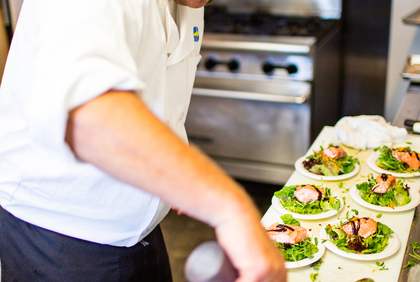 He was the Executive Chef at Café Rio in Aptos, and enjoys showing people how really great local seafood can be. “Instead of teaching or talking to people about how good fish can be, I got into showing them." If you've tried his chowder, anchovies or squid calamari at our events, you'll experience this for yourself. When he was 5, Barry's father gave him a pair of rugby boots and a fishing rod. He made good use of both, eventually becoming a professional rugby player and a commercial fisherman. While he no longers plays professional rugby, he still fishes commercially. Originally from New Zealand, he left as a young man for better work opportunities in Australia. He bought a Bedford bus and a fishing boat, and toured the country fishing everywhere from Ningaloo Reef in Western Australia to the Daintree River system in northern Queensland, for 20 years. He came to the U.S. in 2002 and ended up in Half Moon Bay fishing for king salmon, which reminded him of the trout he grew up with in New Zealand - in a much bigger version. 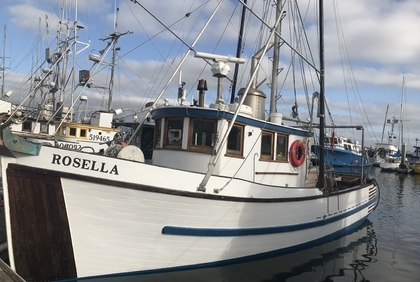 He bought his current boat, a 40-foot Hansen called Rosella, in 2012. What does he love about fishing? "There's a freedom to it. Even with the regulations, there's a great contact with nature that's realistic. Sometimes you're worried about your life, but it's real. Trying to save the planet from a position of safety can make it hard to understand what's involved and what's needed." When does he plan to retire? "With my last breath." We are grateful to have Barry fishing for us! Calder has been a fishermen since day one. Learning to fish with his father, Richard, and uncle, Daniel, he was a deckhand until he was old enough to run his own boat. For many years while their company, Sea Harvest, was more involved with processing, Calder was running the crab and black cod boats. 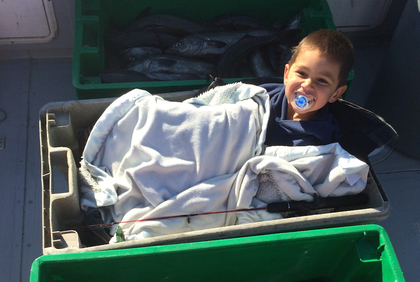 Calder got his first boat in 2008 and has been fishing on his own ever since. 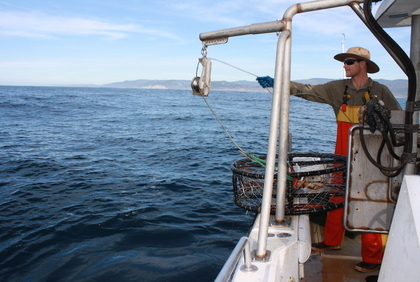 Now he fishes nearshore rockfish, Dungeness crab, salmon, halibut, and albacore. 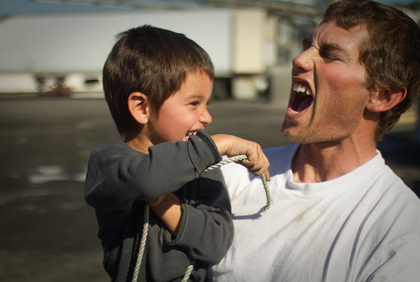 Miles is Calder's son, and he can be found wherever his father is, from the docks of Moss Landing to fishing out at sea, and even surfing the breaks off our coast - a little waterman in training. 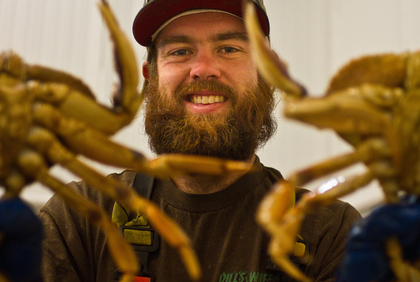 Calder's favorite fishery is Dungeness crab because it makes him a good living. 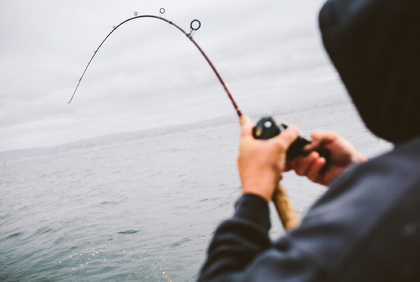 For pure enjoyment, Calder prefers nearshore rockfish because the peace and quiet and beauty down the coast where he fishes can't be beat. For eating, it's all about the king salmon for him, thrown on the grill with a special mixture of mayonnaise, capers, dill, lemon, and a few other secret ingredients on top. No flipping the fish. 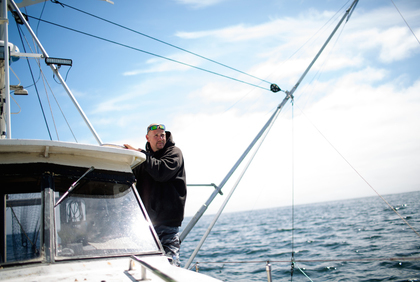 The joys of fishing for Calder are in the freedom and life on the ocean, and the challenges are balancing time on the water with time with his family. Walter has been fishing his whole life. As the son of Richard Deyerle, his first footsteps, along with his brother Calder, were probably on his father's boat. 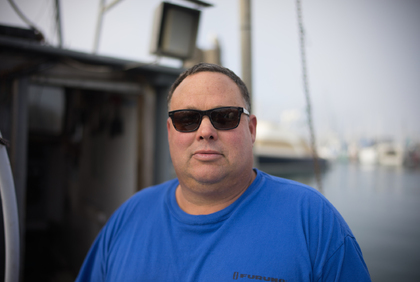 Walter started commercial fishing at the age of 19 and has continued full time through thick and thin. 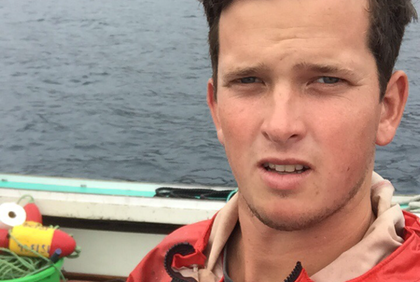 Walter and his deckhand, Marshall, currently fish for rockfish, black cod, halibut, and Dungeness crab. Walter's favorite fish is hardheads (thornyhead, idiot fish, etc.) simply battered with italian seasoning and pan fried. 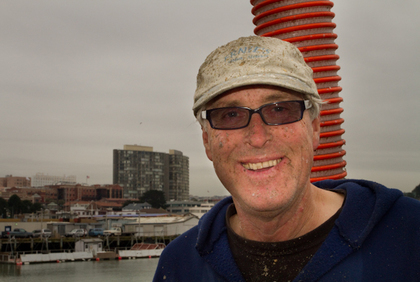 Tom Ebert founded American Abalone Farms, in 1989 with 50 seawater tanks. Located in Davenport on the “Slow Coast,” he has built up the business over time and the company has grown to over 3000 tanks today, with more being installed every day. 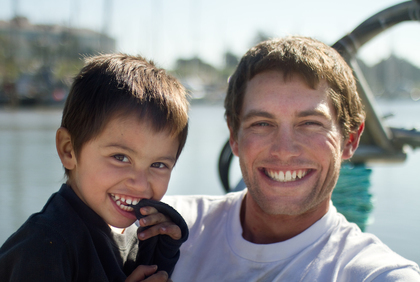 Eric grew up in Santa Barbara spending most of his summers at the dock fishing off the pier, eventually working on sport and commercial fishing boats in junior high and high school. 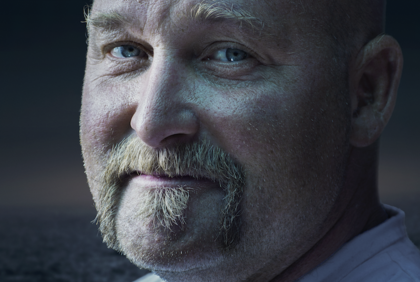 During his career in auto repair, he spent 15 years sport and competitive spearfishing and free diving. 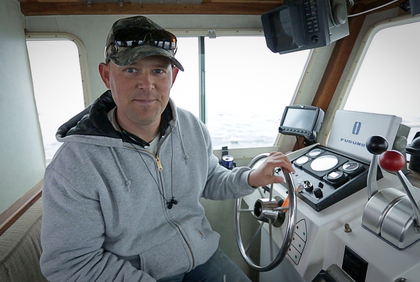 At 35 years old he decided to get back into commercial fishing to help feed his community local fish. 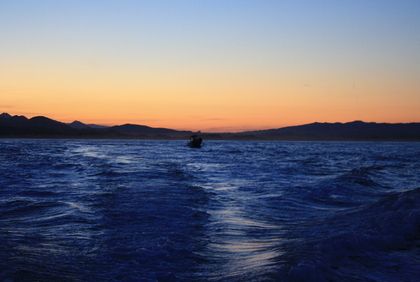 He fishes for Black Cod, Blackgill rockfish, vermilion rockfish, lingcod, and many other species. 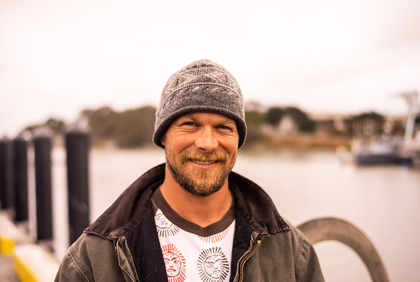 At Real Good Fish, we source wild ridgeback and spot prawns from the Channel Islands, and Jeff Hepp is one of our go-to fishermen for them. Jeff takes great care of the prawns and their environment. 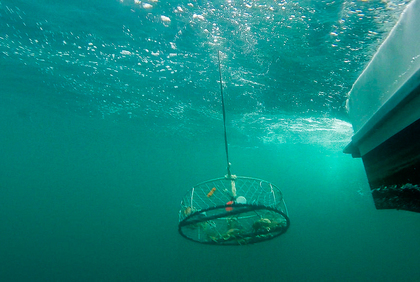 He has modified his trawl net to minimize bycatch by adding two excluder devices, one towards the bottom that is a "separator sack" with five-inch mesh to let fish out, and the other towards the top of the net that is a ten foot zipper to let fish out, so there is little or no bycatch. He has also modified the bottom of his trawl net to keep it slightly above the bottom and minimize its effect on the environment, a method known as "light touch" trawling. 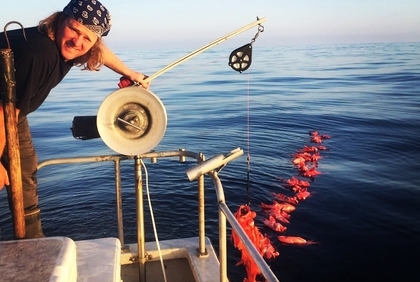 Jeff lands his prawns in Santa Barbara, and once they're transferred to Real Good Fish, they're put in seawater tanks pumped with oxygen and driven north overnight. Ridgeback and spot prawns are both highly perishable, and since we don’t use any chemicals, they need to be delivered while they're as fresh from the ocean as possible. Ours will sometimes arrive still moving, and while it can be startling, the flavor and integrity of these prawns is so worth it - sweet, clean and mild, with no chemical aftertaste and no ethical compromise. 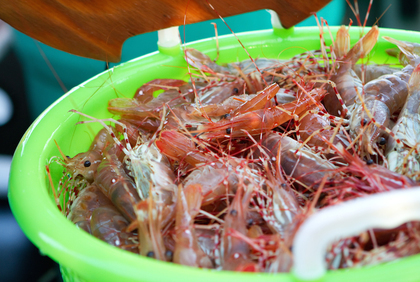 Fisherman Jeff Hepp’s favorite way to prepare ridgeback prawns, "I just boil them with a little salt and sprigs of fresh rosemary.” Check out our Recipes section for some Real Good Fish favorites! For more on why we source local wild-caught prawns from Jeff, see our blog post "Step Away From the Shrimp Buffet!" 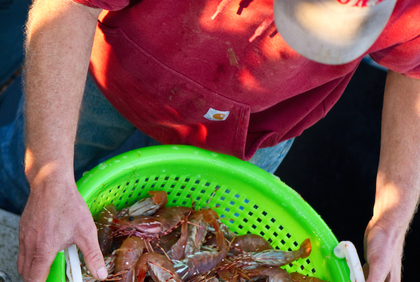 It shines a needed light on serious problems in the shrimp industry. 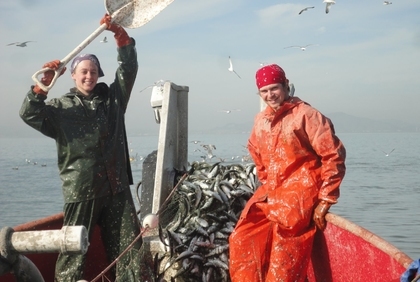 The herring season is short and sweet: “My place in the world in January and February is on San Francisco Bay on this boat. That is what defines me. You can get money anywhere. Money is cheap. Money is banal. 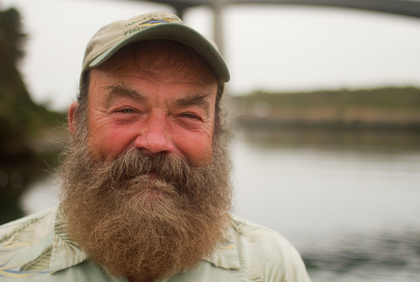 You can’t get the experience that I get quite so easily.” Ernie attributes recent swings in the herring population – the 2008-2009 season was cancelled for the first time in history – to a lack of fresh water reaching the Bay Delta, which is critical to the survival of young herring. Ernie would not persist in this fishery if money were the only reward. 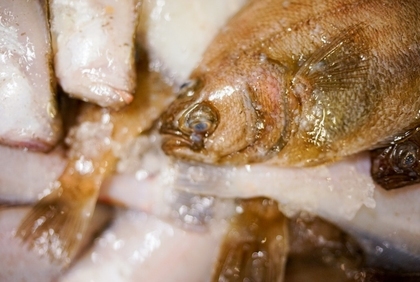 As diesel prices have soared, herring prices have fallen from over $3000 a ton in 1995 to less than $700 a ton today. This is largely due to reduced demand in Japan for kazunoko (herring roe), a delicacy given as gifts during the New Year’s season which has at times fetched prices of over $50 a pound. 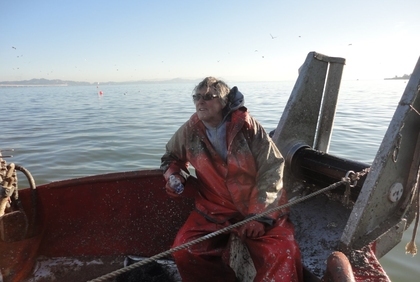 There were over 100 herring boats working San Francisco Bay in the late 1990s; Ernie is now one of less than 20 still fishing, and one of only 10 to be granted a permit by the California Department of Fish and Game this year to sell whole herring locally on the fresh fish market. 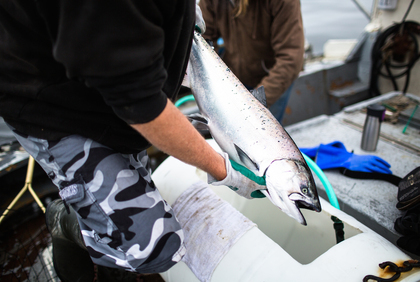 “There’s hardly any young guys in any of the fisheries now…they’re all pushing 60, or older. 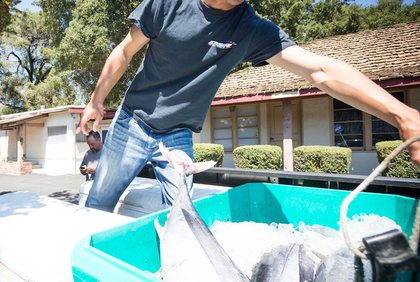 The financial incentive has left, so it’s not drawing people into the fishery,” Ernie explains. 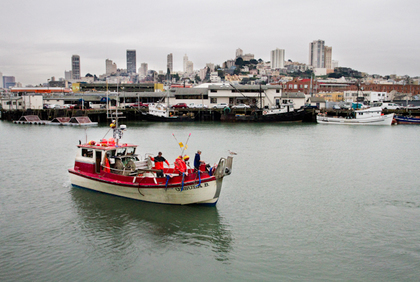 Ernie is working with other local fishermen to stimulate a consumer demand for herring in the Bay Area. “I’m aware of the growing demand for organic, local, healthy food.” He hopes that herring will take its place alongside other local seafood products. “I’ve eaten it smoked, I’ve eaten it grilled, I’ve had it salted, I’ve had it pickled. 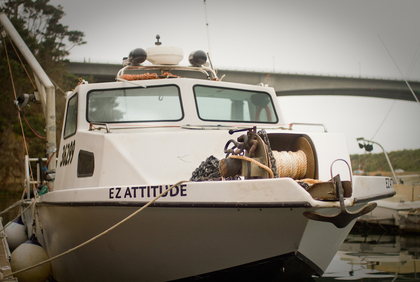 It’s a good fish.” Ernie and his boat the Ursula B. can be found in January and February plying the waters under the Bay Bridge and just yards off the Embarcadero. 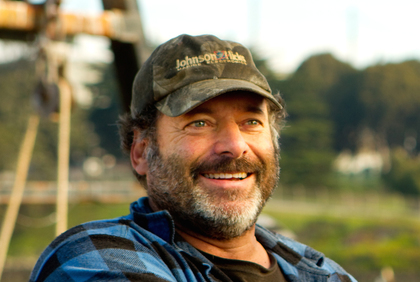 Originally from the great Pacific Northwest, Khevin began his career as a commercial fisherman off the stormy cold coast of Washington. 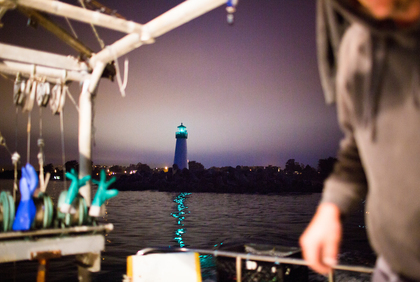 Khevin and his family found their way to Santa Cruz a few years ago, where he now fishes Dungeness crab and black cod. 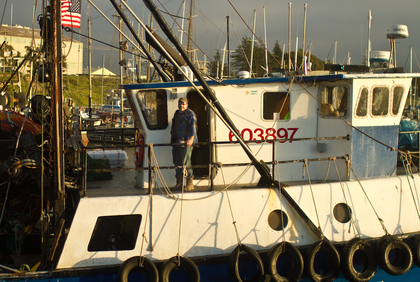 Khevin and his business partner, Scott, fish two boats and are among the few proud fishermen who make a full-time living fishing commercially. From baiting thousands of hooks one by one, to icing down every fish, these guys do it all themselves as a labor of pride and love. Just try a piece of their fish and you'll know why it's so good. 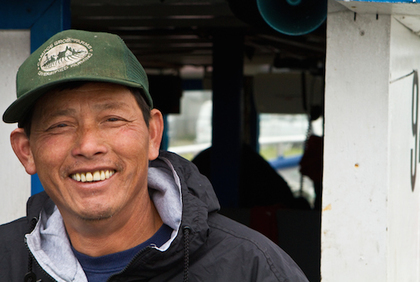 Giuseppe, who goes by "Joe," comes from a long line of family fishermen. Joe's great grandfather was born in Sicily and emigrated to Monterey in 1906. 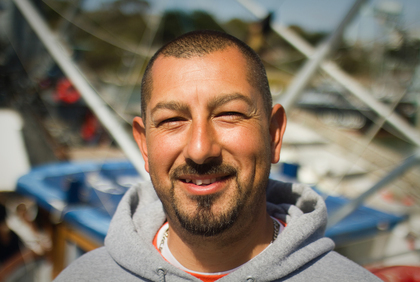 Joe started fishing with his father on the F/V San Giovanni at the age of 7. It wasn't too much later when he took over fishing and running his father's boats during the summer when the regular crew was fishing up in Alaska. During the school year, Joe and his brothers would fish after school and on weekends, often landing more fish than the old timers who were fishing all week! 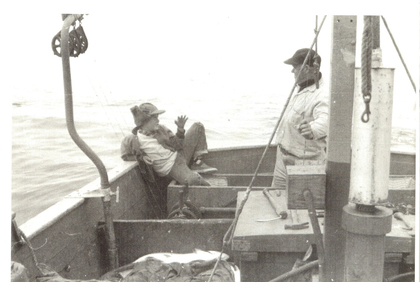 By the age of 18, Joe purchased his own boat, the F/V All Mighty, and motored up to Alaska from Seattle. 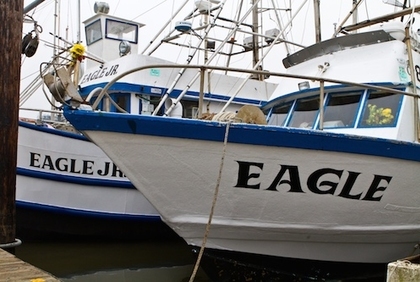 He fished that boat for 3 years, until it sank due to a cracked weld from the icy water. For a few more years he worked on a factory trawler that fished night and day for Alaskan pollock, bringing in 200-300 tons per HOUR, and turning that fish into "fake crab," also known as surimi. 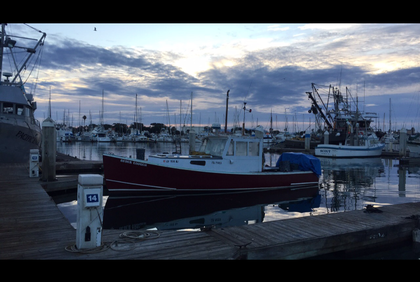 After putting in some serious time up north, Joe found a boat in Gloucester, Massachusetts, the F/V Vito C. He motored it down the East Coast, through the Panama Canal, and up the West Coast to Monterey. 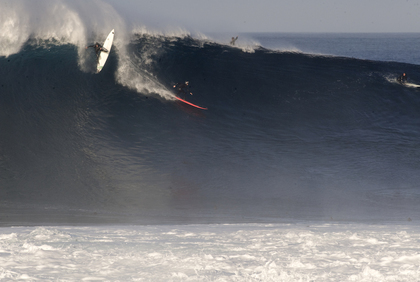 "It wasn't an easy trip," he said, "big stormy seas all the way down to Panama." 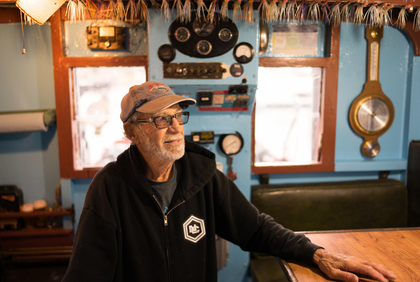 When he returned to Monterey, quotas were cut dramatically, which didn't make it feasible to own a boat as large as the Vito C., so he sold it for a much smaller boat: the F/V Pioneer, which he owns and operates today. Joe and the Pioneer are a remarkable story. 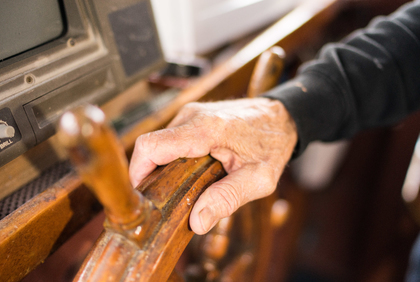 When he purchased the Pioneer, he was only able to run it for a few years until the economics of running the boat were unfeasible, given the amount of fish he was allowed to catch and the amount of fish he had to throw back. At that time, shortsighted regulation and management strategies had him throwing back more fish than he would bring to the dock. 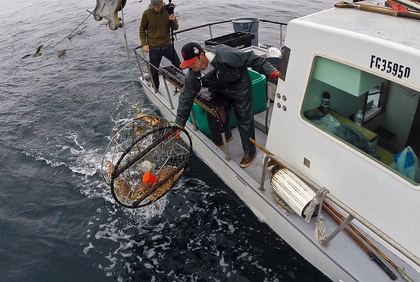 "We'd bring in 25,000 pounds of fish in one tow and have to discard 80% of it." It wasn't long before the economics and morality of such an endeavor made him realize he was involved in a fishery causing more harm than good, so he left the water and turned to the shore to start a new career as a general contractor. Around that time, in 2004, Joe's brother, David "Rowdy" Pennisi, was lost at sea fishing aboard his boat, the F/V Relentless. The tragic event, still shrouded in mystery and uncertainty, has left ripples in our community that can be felt today. 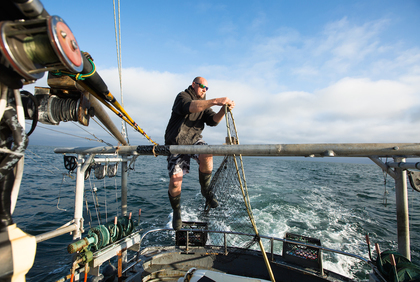 Fast forward 8 years to 2011, Joe returned to the Pioneer when the Pacific Fisheries Management Council revised its management strategy to address the unsustainable discards and dying industry. 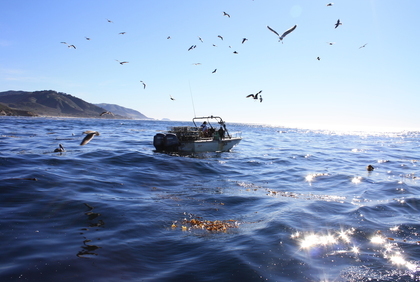 A new "catch shares" management strategy was implemented, giving fishermen the freedom to work together and sell and trade quota, including bycatch species, as a way to collectively support economic success and reduce environmental impact. This management strategy is not without controversy and conflict, however, because there is the opportunity for large corporate interests to aggregate large quantities of quota as a form of monopolization in the industry. Fortunately, there are emerging policies being put in place to protect fishermen and their communities from these inequitable market forces. In the long term, the verdict is still out on how this management strategy will change the lives of those who call this coast home. For the short term, it is a light at the end of the tunnel, giving fishermen like Joe a sense of hope that hasn't been felt for many years. Within the context of this management shift, Joe was able to start fishing again. 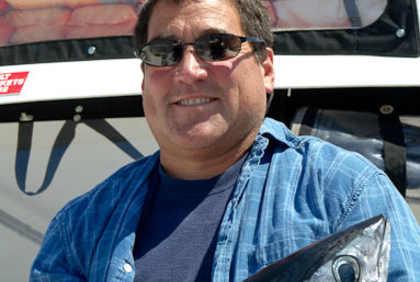 And not only has he been able to start fishing again, Joe has been able to improve his vessel's overall efficiency, reduce environmental impact, and improve product quality. 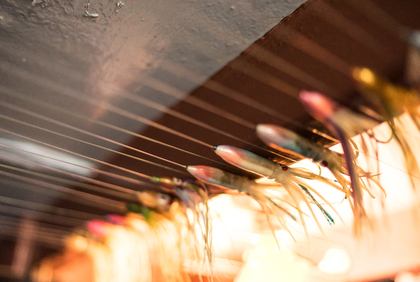 The net that he custom built reduces bottom contact by 95%, while reducing the weight of the gear by 9,500 pounds. The vessel has been outfitted with new engines that decrease emissions while improving power, and most recently he's installed state of the art refrigeration to keep the product on his boat at 32 degrees. It's been a long, challenging journey for Joe, but he's never lost sight of what makes him happy: his family and fishing. 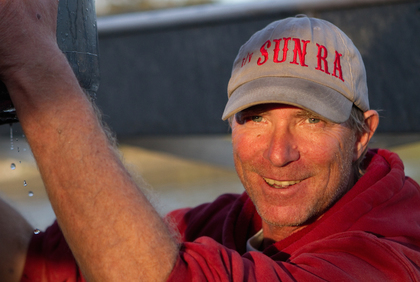 Wilson started fishing in 1968 with his father out of Santa Cruz. 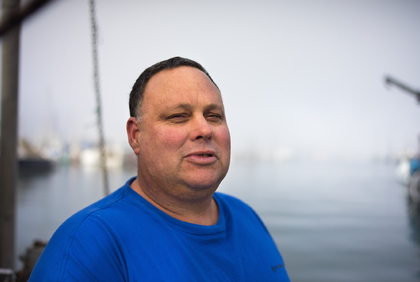 He's moved from harbor to harbor, like many fishermen on our coast, to find fish. 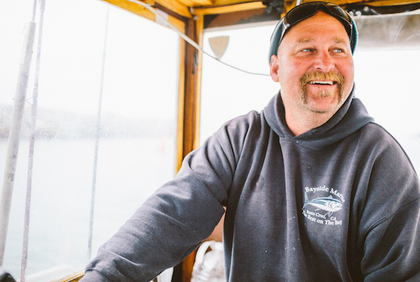 From black cod, salmon, rockfish, and now spot prawns, Wilson is one of the fortunate fishermen in our community who fishes full time. Wilson's favorite fish to cook and eat is not surprising: spot prawns. And his favorite way to prepare them is simply marinated, with butter, garlic, white wine, and fresh herbs, then onto the grill for 2 minutes per side - nothing more - to avoid the risk of overcooking. Scott caught his first fish at the age of 4, and from then on he was hooked. From trout and bass in the mountains to halibut off our coast, Scott found himself spending most of his free time on the water. 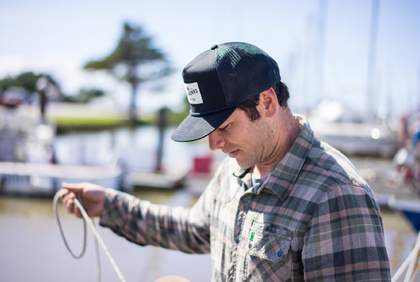 At the age of 33 he decided to fully commit to his passion and pursue a career as a commercial fisherman. 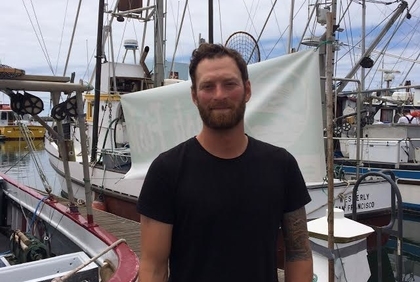 A few years later, Scott and his father, "Biggie," bought the F/V Tidepoint, named after Scott's great grandfather's tug boat harbored in Oregon. 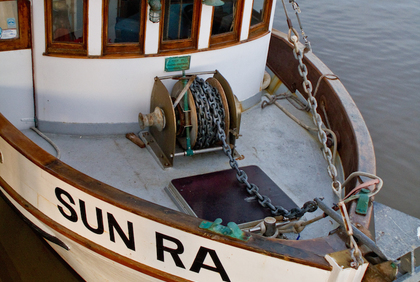 When he's not fishing on the F/V Tidepoint, you can often find him fishing on Stan Bruno's boat. 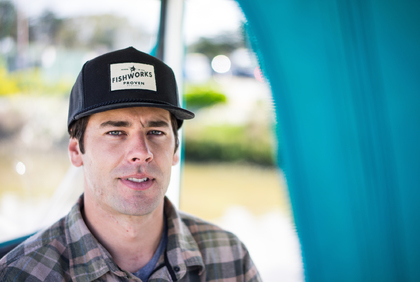 Sustainability is crucial in Scott's eyes, which is why he handles younger, smaller fish more carefully and throws them back, because he "sees his future in those fish." In that same way, he also knows how important it is to have a younger generation of fishermen to bring our community fish, which is why he gets a great deal of fulfillment seeing kids playing on the docks, just like he did as a child. 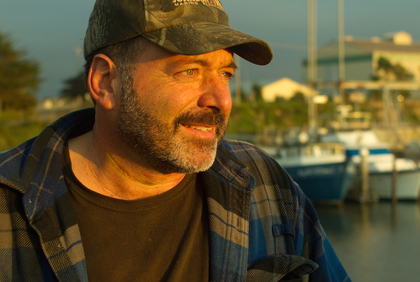 Scott enjoys fishing for sand dabs, salmon, and albacore, but Dungeness crab is his favorite. 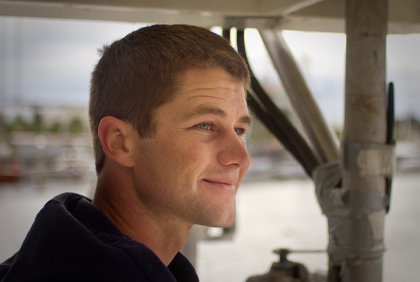 Zach's specialty is trap-caught sand dabs, which he fishes year round. When caught this way, sand dabs come in larger on average and in beautiful condition, in addition to being 100% sustainable. Zach loves what he does - all the preparation, and then the satisfaction of a boat full of sand dabs and a beautiful sunset on his way into harbor with them. In 1975, Tom Trumper was working as a diver for oil fields in Louisiana, but pursued Judy, the woman who would become his wife, out to Southern California. He saw a help wanted ad for sea urchin divers, and after his first trip out, he never went back to the oil rigs. At that time, only 20 guys were diving and the range was limited to southern California, from San Diego to Pt. Conception. 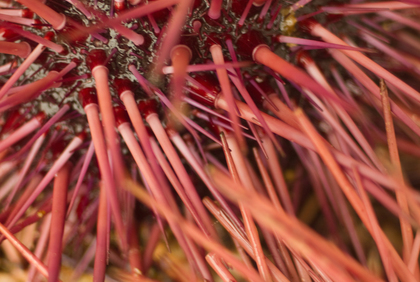 The yen was strong in Japan and overnight shipping had just become possible, so markets over there were clamoring for California sea urchin. 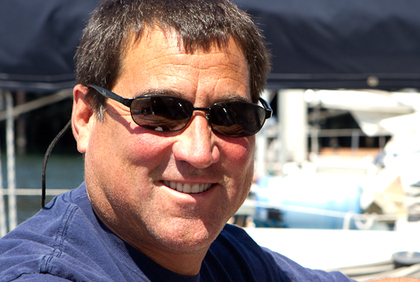 In 1999, Tom co-founded Pacific Rim Seafood in Ft. Bragg, which he now runs with his daughter, Autumn. That year, the price from Japan was soft, and so they had to cut out the middlemen. 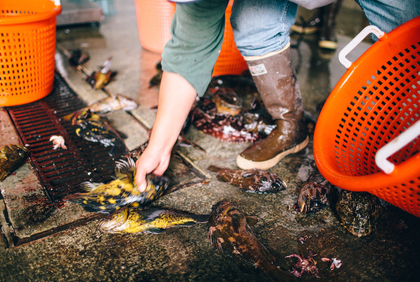 In many seafood supply chains, there can be as many as 5-7 buyers before a product makes it to the market. In order to break this chain, he needed to create a domestic market. 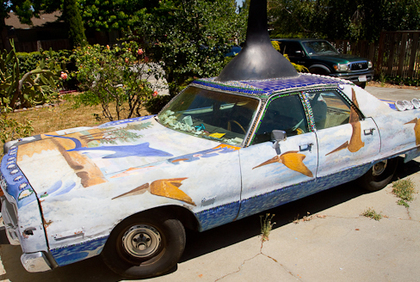 Tom and Judy loaded 14 trays of uni in their VW bus and drove to San Francisco. 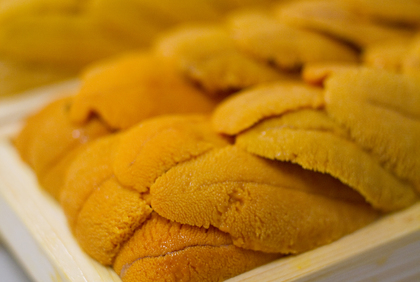 By this time, sushi bars were ubiquitous in the city, and chefs loved their uni. Tom and Judy met with customers and gave samples and talks in the restaurants. Then Tom noticed that chefs who bought on a Monday were still serving their uni on a Friday. 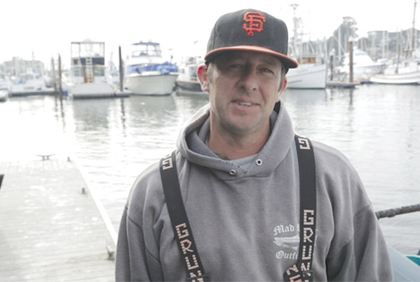 Originally from Marina, CA, John's father introduced him to fishing at an early age. 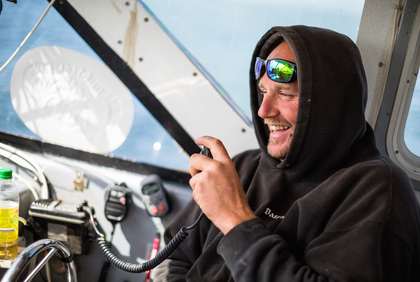 He decided to take a risk and pursue fishing professionally in 2014, when he bought his boat, Fast Eddie. 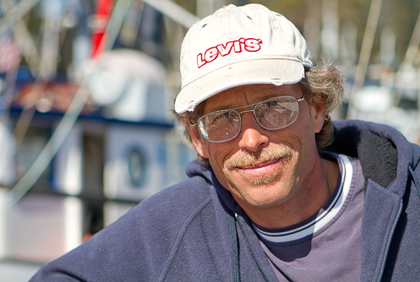 John's favorite fish to catch is tuna - any type, but locally, albacore - because they are a hard fight, which he enjoys. His favorite fish to eat is white seabass prepared any way, but especially deep fried. 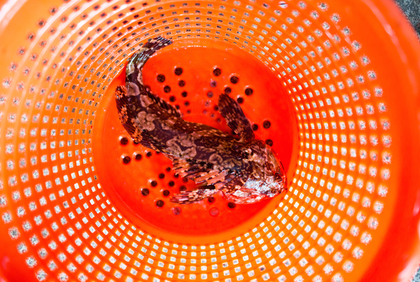 Tuk caught his first rockfish with his dad when he was 8 years old. 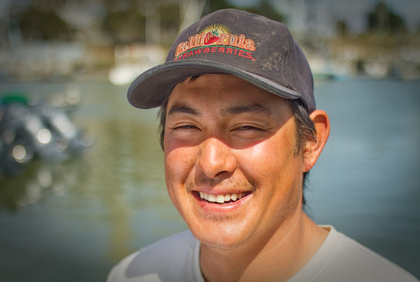 They fished together recreationally on their 15 ft. aluminum boat almost every weekend, and when Tuk turned 16, his father bought a bigger boat and they both began fishing commercially. 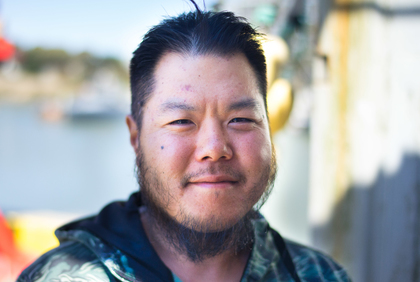 Tuk is currently a part-time commercial fisherman who fishes three to seven days a week out of Monterey, Moss Landing, and Santa Cruz, depending on the season. His other part-time job is working as an auto mechanic, something he enjoys immensely and that allows him to pursue his hobby and passion racing cars. Tuk loves being out on the water in the early morning and knowing that every day will be different. 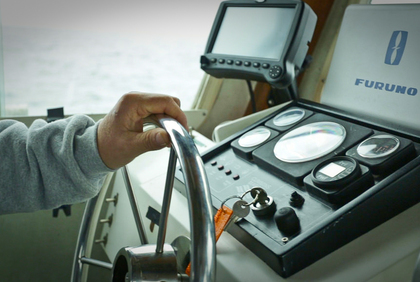 When asked about the challenges of commercial fishing, he mentions all the work involved with fishing beyond catching the fish: where to fish, weather, wind, currents and, ultimately, making the right decisions. His favorite way to cook sand dabs is unusual: simply pan fry one side, then sprinkle bits of crispy bacon on the uncooked side and flip it and cook that side until done. Yum! Brian grew up playing with his cousins Walter and Calder Deyerle. As a little crew they started fishing together and getting more and more into the trade with the help of his uncles, Daniel and Richard. 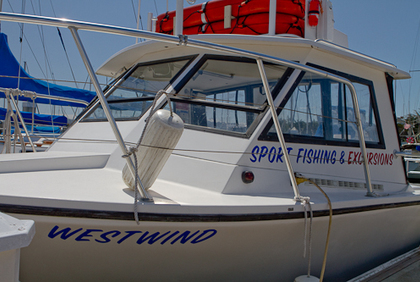 It wasn't until 2012 that Brian made the leap to run his own boat, a 22' Boston Whaler called the FV White Owl. 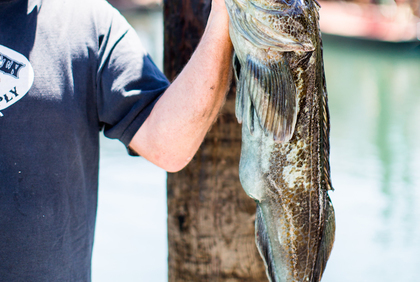 Brian exclusively fishes for nearshore and deeper nearshore species, including blue rockfish, gopher rockfish, lingcod, and cabezon. 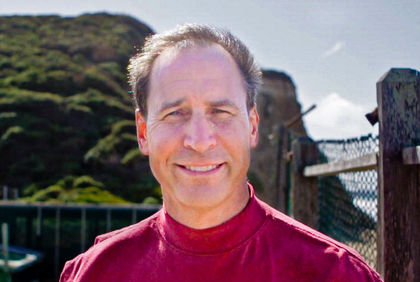 He is an outdoorsman at heart and member of the Big Sur Volunteer Fire Brigade, as well as a member of the Ocean Rescue Team. As if that isn't enough, Brian also owns and operates a Poke restaurant in Carmel called Carmel Poke Co.